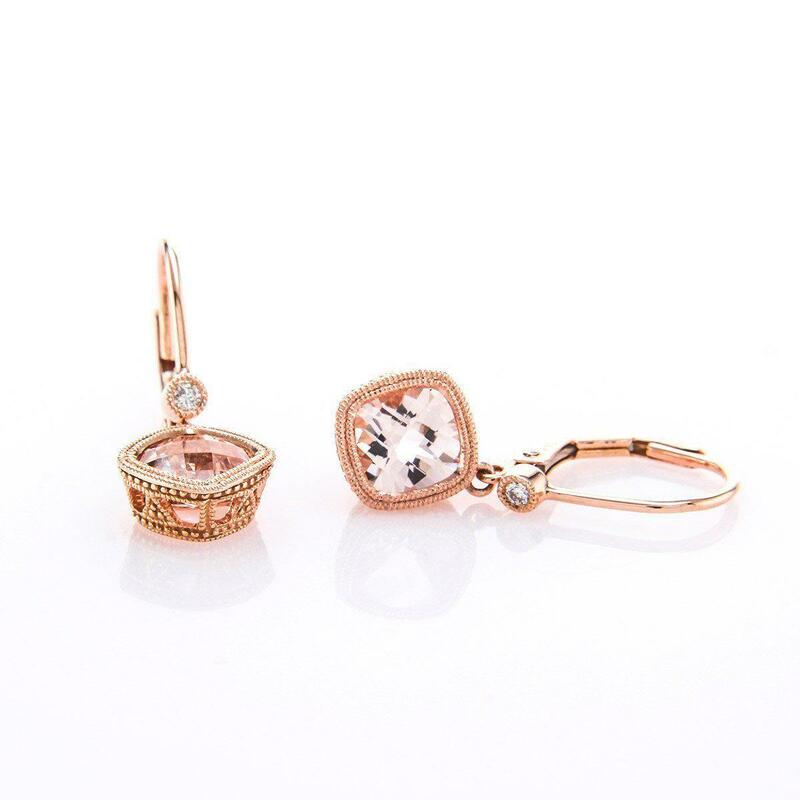 Handcrafted in perfectly pink 14kt rose gold, these shimmering earrings feature beautiful faceted morganite stones and small round cut diamonds. 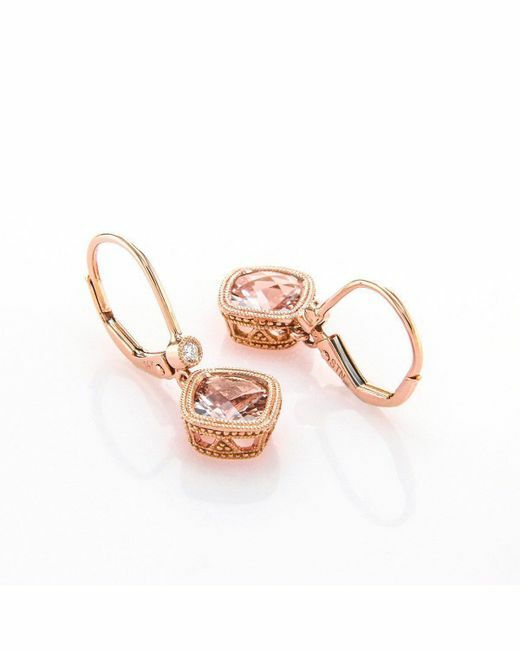 Tudor meets Art Nouveau on these checkerboard faceted pink morganite earrings. 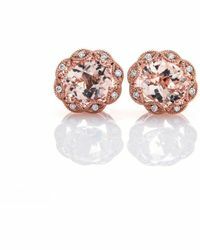 Each shimmering stone is set in 14kt rose gold. 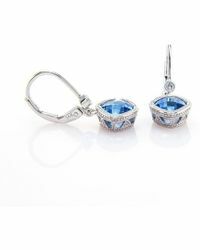 The raised milgrain bezel gives each earring a delectably substantial appearance while each hook, featuring a mini diamond, brings light. 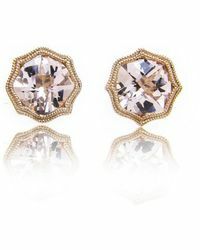 About the Designer: Descended from generations of diamond cutters, Brian Gavin learned his trade in a factory owned by his family. His studies during this time enabled him to achieve an incredible visual balance in the cutting process. 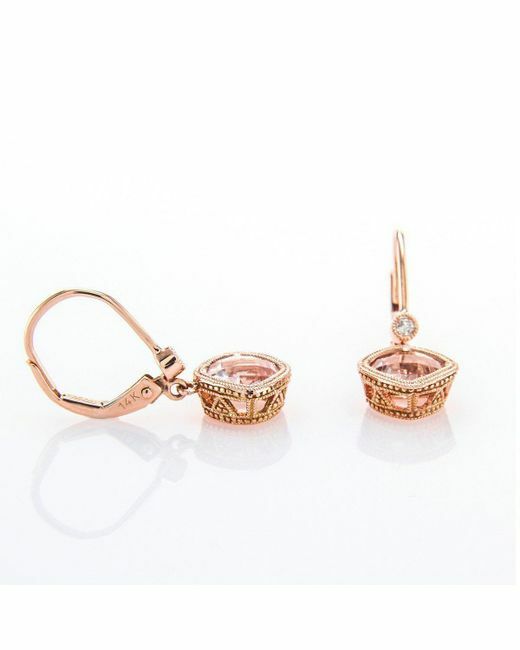 Eventually, his talents led him to head his own brand – Brian Gavin Diamonds. 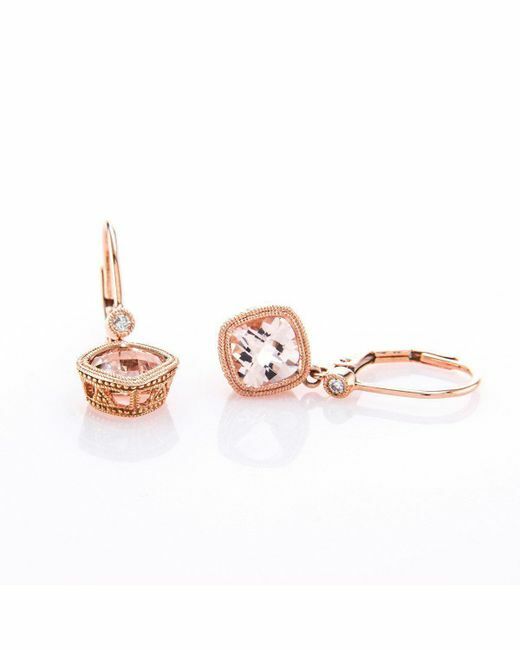 To learn more about Brian and his designs, visit the Brian Gavin Diamonds boutique.